External modulation is preferred over direct modulation. Some important reasons are reviewed in this paper. 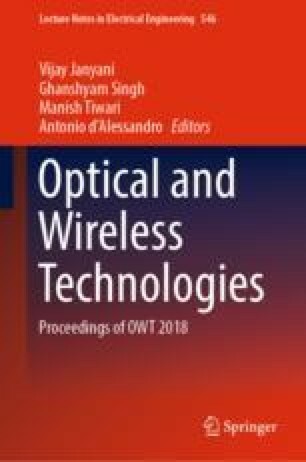 The performance of electro-optic modulator (external modulator) is reviewed for visible-light communication over direct modulation. Here, operating wavelength range is 400–700 nm and voltage-length product (VπL) is 0.8 V cm. Calculated insertion loss is very low compared to other available devices and the extinction ratio is very high. This work was supported by Visvesvaraya Young Faculty Research Fellowship, MeitY, Govt. of India.